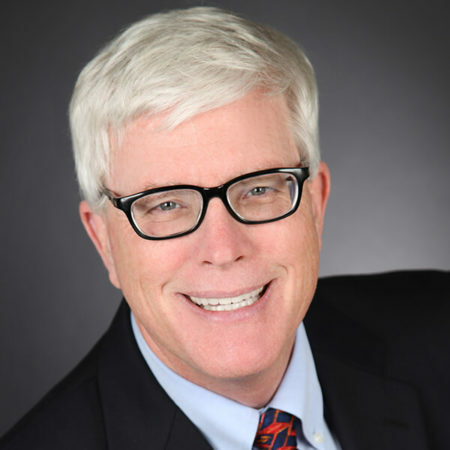 So it’s no easy task to wake up an entire nation, but Hugh Hewitt is a broadcast pro who does it with ease. He is America’s true East Coast-West Coast man, doing the show most of the time from inside the Beltway of Washington DC, but other times from his studio in Southern California, where Hugh is a professor of law at Chapman University’s Fowler School of Law, teaching Constitutional Law. Hugh began his radio career on KFI in Los Angeles in 1990, and spent a decade as co-host of the nightly news and public affairs show on PBS’ Los Angeles affiliate KCET before launching his nationally syndicated show on 8 original stations on July 10, 2000. He moved to mornings in April 2016 and never missed a beat. Hugh and his wife, “The Fetching Mrs. Hewitt” as Hugh calls her on the air, live in northern VA. He is a graduate of Harvard College and the University of Michigan Law School, and spent six years in the Reagan Administration, including stints in the White House Counsel’s office and as Special Assistant to two Attorneys General. Hugh has also served on The California Arts Council, the South Coast Air Quality District and The Orange County Children and Families Commission.